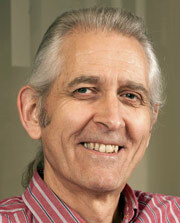 Bob Chapman is Emeritus Professor of Archaeology at the University of Reading, UK. His research focuses on archaeological theory, the development of human inequalities, and the means by which these can be studied with archaeological data. He has pursued these interests individually and with Spanish colleagues from the Universitat Autónoma de Barcelona in fieldwork projects in southeast Spain and the Balearic Islands, as well as in books such as The Archaeology of Death (1981), Emerging Complexity (1990) and Archaeologies of Complexity (2003). In recent years his research has turned increasingly to the use of historical materialism in archaeological interpretation, especially in relation to inequality and human exploitation. Running through this research activity has been a strong concern for the nature of archaeological interpretation, working with the complementary evidence of how people lived (e.g. what they produced, distributed, exchanged, and consumed in their daily lives) and how they were treated in death (e.g. their disposal, centred on the material evidence for their funerary practices). 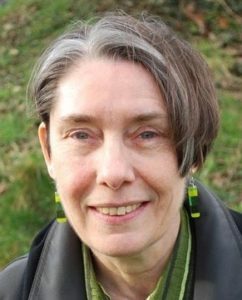 Alison Wylie is Professor of Philosophy at the University of British Columbia. She is a philosopher of the social and historical sciences who works on questions about objectivity, evidence, and research ethics raised by archaeological practice and by feminist research in the social sciences. Her longstanding interest in evidential reasoning is represented by her book Thinking from Things (2002) and by her contributions to Evidence, Inference and Enquiry (2011), How Well do ‘Facts’ Travel? (2010), and Agnatology (2008), and by ‘How Archaeological Evidence Bites Back’ (Values in Science and Technology 2017). Her current work focuses on questions about the role of contextual values in science and on how research can be improved by internal diversity and by collaborations that extend beyond the research community. These interests are reflected in Value-free Science? (co-edited with Kincaid and Dupré 2007) and Epistemic Diversity and Dissent (edited for Episteme 2006), and in contributions to Appropriating the Past (2012) and Objectivity in Science (2015), as well as by essays on stewardship and feminist standpoint theory.